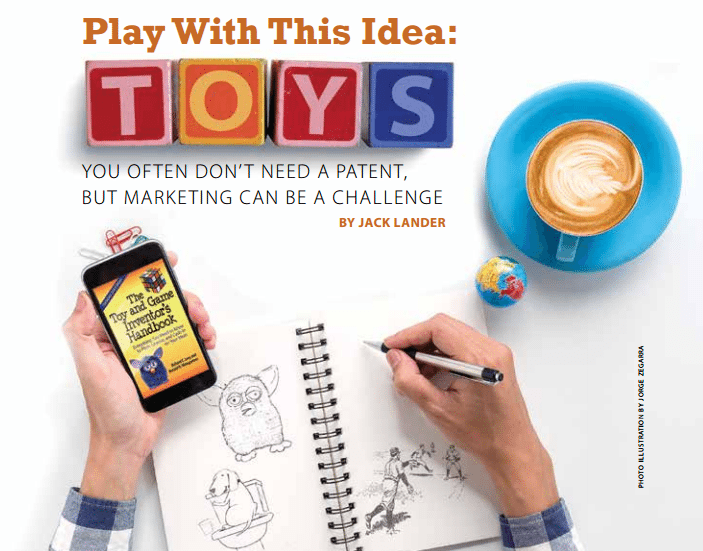 You often don’t need a patent, but the toy invention market can be a challenge. It’s hard to believe that more than a quarter century has passed since “Field of Dreams” was in theaters. You may recall the famous line from that movie: “If you build it, he will come.” The “it” is a baseball diamond; the “he” is Shoeless Joe Jackson, a baseball legend from the early 1900s. Ray Kinsella, the farmer to whom the incorporeal voice had spoken, builds the diamond. Shoeless Joe shows up to play, along with the seven other Chicago White Sox players who had been banned from baseball for fixing the 1919 World Series. The movie is fantasy, the players apparitions. But the faith that Ray had in the voice he heard is similar to the faith many inventors trust when we hear the call to pursue a great invention. We have to believe and follow that voice in order to accomplish anything. But we also have to determine where the red line is drawn between wishful thinking and the reality of feasibility. 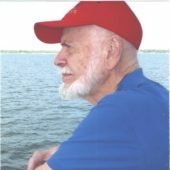 Frequently, I work with uninitiated inventors—those who haven’t been through the process of at least protoyping, and evaluating the patentability search and opinion prepared by a patent agent or patent attorney. The majority of those inventors stumble onto their opportunities for an invention during their daily routines. Many great inventions have come about that way. Unfortunately, the majority are duds due to having been invented before, or lack of market interest. In the past 20 years, I’ve worked with inventors who have come up with several variations of flossing devices, pooper scoopers, handles to grip plastic grocery bags, toilet seat lifters, board games, and others that don’t come immediately to mind. All of these have at least a few patents, and some have a great many. So, the moral of the story: If you stumble upon a popular problem, annoyance, need or want, it is improbable that you will find opportunity for cashing in with your great solution. However, there is one market that has an ongoing appetite for new versions of the same product, year after year, even though the market of the past was well satisfied. That is the toy market. Now don’t drop your Inventors Digest and run for your sketch pad. The toy market is a tough market to crack. But it offers one big advantage: Typically, you don’t need a patent. The reason is that the life cycle of toys is too brief for a patent to provide much protection. Also, the high ratio of patent cost to royalty income may substantially reduce the profit to be gained. Should you worry about submissions without patent protection? Not really. The toy business is run on the honor system, but beware of unethical brokers and agents. However, a self-written and filed PPA (provisional patent application) could provide a bit of protection for the year it is in force. And the filing cost is only $65 if you qualify as a micro-entity. But protection is not the major concern; marketing your idea is. Most large toy companies will not accept ideas submitted by inventors with whom they don’t already have a relationship. Submit an idea through the mail, and you’ll have it rejected without the recipient even having opened it. The reason is legal liability. As with pooper scoopers, toy companies see the same inventions again and again and would have to spend a lot of time and money politely rejecting the unsolicited ideas. Also, occasionally it would happen that the independent inventor would invent a toy that was already being developed by the company. The inventor who believed he or she was being cheated could tie up the company in court and delay such toy’s introduction to the market. The solution is to submit through an agent. The problem here is that agents have the same potential legal liabilities as big companies. To get them to look at your toy invention, you probably will have to sign an agreement acknowledging that your patent rights are your only rights. That doesn’t mean that you have to have a patent or even have applied for one. It is simply the way to get through to an agent in order to have him or her review your invention, and hopefully have him or her submit it to one of the toy companies with whom he has a relationship. There is a parallel here with invention submission agents. Some are unethical; some are honest and effective. The difference is that the unethical agents want a lot of money up front and generally don’t even act as agents, other than perhaps sending a form letter and a photo or sketch to a publicly available list—something you could do on your own. But invention submitters work with all categories of inventions, and you can’t expect them to have an established, face-to-face relationship with thousands of potential licensees. Toy agents, on the other hand, work with only one category—toys—and they know the decision makers in many of the approximately 1,000 toy companies in the United States. sssLevy is one of the inventors of the Furby, of which 40 million were sold during its heyday from 1998 through 2000. He and Weingartner disclose inside information that is not generally known outside of the toy companies or the offices of their cadre of independent agents. Weingartner led the Milton Bradley/ Hasbro Games division and later served as director of development for Playskool. Their book includes a 22-page appendix titled “Companies Seeking Ideas”. The list contains 51 toy companies that license products from independent inventors, with hints on how to approach them with your invention. Apparently, the book is out of print except on Kindle. But Amazon.com shows 73 copies available at one cent: Yes, that’s a penny plus $3.95 for packing and shipping. You may be able to find it in your library, but I highly recommend that you buy your own copy if you are attracted to the prospect of toy inventing. Whether we invent toys or pooper scoopers, we need to improve the odds of licensing by realistically assessing prior art—both patents and products. There is no point in working on a new version of the pooper scooper. The market is already saturated. The majority of toy inventions, however, bypass the patenting process. Although that sounds like ‘free lunch,’ with it comes the disadvantage of not being able to search patents to determine whether our invention is novel. Thus, our aim has to be highly imaginative and novel, based on clairvoyance for what toys will be hot a year or two from now. If you build it, will they come? Nein, nyet, non, no! It’s still up to us to go to them, even if you have invented the next Barbie or Hot Wheels.